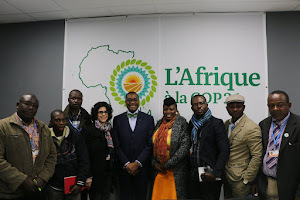 PARIS, France (PAMACC News) - African heads of state announced plans for a gigantic renewable energy initiative that would provide as much as 300gigawatts of renewable energy – twice the continent’s total current electricity supply – by 2030. “African countries have abundant renewable energy resources. This initiative can transform Africa’s energy systems, grow African economies and help improve energy access. Now these will power our future.” said Asrat Yirgu, WWF Africa’s Climate Change Coordinator. This initiative represents a part of Africa’s contribution to the global efforts on climate change and eliminating energy poverty. It will also help African nations embrace low-carbon development strategies while creating jobs, improving energy security and bringing clean, safe and affordable energy to the 640 million Africans who currently lack access to electricity. As the African leaders want the biggest polluting nations to commit to financing as part of contributions to an internationally administered Green Climate Fund, that hopes to dispense $100bn a year after 2020 as a way to finance the developing world’s shift towards renewable.